Health and Human Services Secretary Tom Price and House Speaker Paul Ryan engaged in partisan spin in talking about the Republican health care bill. 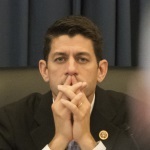 The American Health Care Act was passed by the House on May 4, and both Price and Ryan appeared on Sunday talk shows a few days later to discuss the legislation. 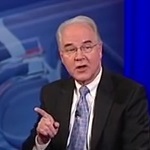 Price claimed that federal spending on Medicaid would increase “every single year” under the GOP bill and the annual increases would be “equal to the cost of medical care.” But federal funding would not increase every year, and Medicaid costs will exceed the inflation rate for medical costs, forcing states to make Medicaid cuts, according to the Congressional Budget Office. 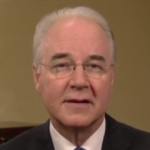 Price said 20 million Americans rejected Obamacare as “nonsense … because it doesn’t do what I need done.” That’s an exaggeration. Only 6.5 million paid a tax penalty rather than buy insurance. The rest obtained waivers, including those who were living abroad or in states that did not expand Medicaid. Ryan said he didn’t think anyone would be hurt by the GOP bill’s reduction in Medicaid spending of more than $800 billion over a decade. But the CBO estimated that 14 million fewer Americans would have Medicaid coverage by 2026, compared with current law. Ryan also claimed that “more and more doctors are refusing to even accept people with Medicaid.” We found no data supporting that. Available federal statistics in recent years show the doctor participation rate has remained around 70 percent. Ryan mischaracterized CBO’s estimate that the GOP bill would reduce the insured by 24 million. He wrongly claimed the CBO is “basically saying” that 24 million fewer Americans “through their own free choice” will decide not to buy insurance. While some fit that description, many others do not. The CBO estimates that the Republican health care bill will decrease federal spending on Medicaid by $839 billion over 10 years, from 2017 through 2026. On CNN’s “State of the Union,” Price challenged host Jake Tapper’s characterization of the reduction in future spending as “cuts” to the program. Price was correct when he told Tapper that the reduction is from the CBO’s “baseline” estimate for Medicaid — which is the amount that the federal government would spend on Medicaid, the program for low-income families and the disabled, under current law. Price, May 7: Well, remember what the $880 billion is off of. It’s off what is called a baseline, which is what the federal government, what the Congressional Budget Office says we would spend if we just continued current law. The fact of the matter is that Medicaid spending under the proposal and under the budget goes up every single year. And it goes up by a factor that is great — that is equal to the cost of medical care. Let’s first look at Price’s claim that Medicaid spending will increase “every single year” under the GOP bill. The Washington Post Fact Checker already did the math and found that Price is wrong. We came to the same conclusion. Our calculations are based on CBO’s 2016 baseline estimate for Medicaid spending under current law and CBO’s recent estimate for how much the GOP bill would reduce Medicaid spending relative to the baseline. As illustrated in the chart below, federal spending on Medicaid would increase in the first three years under the GOP bill, even though the federal government would be spending less than it would under current law. However, federal spending would decrease in the year 2020, and it would not increase above the fiscal year 2019 level until FY2023. Price also claimed that annual increases in Medicaid spending would be “equal to the cost of medical care.” That’s misleading. The House bill would adjust annual Medicaid spending based on the consumer price index for medical costs, referred to in the CBO report as the CPI-M. But CBO says Medicaid costs would outstrip inflation, beginning in 2020. As we’ve explained before, the House bill would cap the amount of federal funding that states can receive per Medicaid enrollee, beginning in 2020. The cap would provide varying amounts for each category of enrollee, such as children, and the blind and disabled. Currently, the federal government guarantees matching funds to states for qualifying Medicaid expenses, regardless of cost. “The Secretary of Health and Human Services would then inflate the average per-enrollee costs for each state by the growth in the consumer price index for medical care services (CPI-M),” CBO explains. However, “Medicaid spending would grow on a per-enrollee basis at a faster rate than the CPI-M,” the CBO says, resulting in states receiving less in federal funding for Medicaid. CBO, March 13: The limit on federal reimbursement would reduce outlays because (after the changes to the Medicaid expansion population have been accounted for) Medicaid spending would grow on a per-enrollee basis at a faster rate than the CPI-M, according to CBO’s projections: at an average annual rate of 4.4 percent for Medicaid and 3.7 percent for the CPI-M over the 2017-2026 period. With less federal reimbursement for Medicaid, states would need to decide whether to commit more of their own resources to finance the program at current-law levels or whether to reduce spending by cutting payments to health care providers and health plans, eliminating optional services, restricting eligibility for enrollment, or (to the extent feasible) arriving at more efficient methods for delivering services. CBO anticipates that states would adopt a mix of those approaches, which would result in additional savings to the federal government. Price is wrong when he says “Medicaid spending under the proposal … goes up every single year.” It would drop in 2020, and the reason for that decrease is the cap on federal reimbursement for Medicaid, beginning that year. This should not be surprising. The nonpartisan Kaiser Family Foundation estimated that the federal and state governments would have spent nearly $200 billion less for Medicaid if the GOP’s proposed funding formula had been in place from 2001 to 2011. “Our analysis estimates that if 2000 per enrollee spending for full-benefit beneficiaries each enrollment group were limited to growth in CPI-M for the 2001-2011 period, total Medicaid spending would have been $195 billion lower over the period on net across all groups (about 6.5% lower), and federal spending would have been $128 billion lower (about 7.0% lower) than actual total spending,” the KFF report said. That makes it sound as if all of those people didn’t want to participate, but we don’t know that to be the case. A January 2017 letter from IRS Commissioner John Koskinen said that, in 2015, 6.5 million people paid a tax penalty for not having health insurance for some portion of the year. In addition, 12.7 million people claimed one or more of the available exemptions to avoid the tax penalty. That’s a total of 19.2 million people, which is shy of the 20 million cited by Price. Those figures don’t show that all of those people were protesting the health care law. So some could have had health insurance if the governor of their state had adopted the Medicaid expansion for those earning up to 138 percent of the federal poverty level. Others may not have been living in the U.S. and didn’t need to purchase health insurance. And then some may have wanted to purchase insurance, but still found it too costly. Even those who paid a tax penalty may not have gone without insurance for the whole year. That’s because the penalty, or “shared responsibility payment,” is generally due for the months that individuals did not have qualifying health insurance. So it’s possible that some had to pay a tax penalty even though they had purchased health insurance for some months, but not others. Ryan said on ABC News’ “This Week” that he didn’t think anyone would be hurt by the American Health Care Act’s cuts to Medicaid funding. But the CBO has estimated that 14 million fewer Americans would have Medicaid coverage by 2026 under the legislation. Host George Stephanopoulos, May 7: So, you don’t think anyone will be hurt when you’re taking $880 billion out of the system? Ryan went on to say that Medicaid “works better” when states are given more flexibility to run the program. The speaker is entitled to his opinion that the bill’s changes to Medicaid, which would cut more than $800 billion from Medicaid over 10 years compared with current law, would improve the program. But CBO said that 14 million fewer people would have Medicaid coverage by 2026, compared with current law. That’s due to two major changes that the Republican legislation would make to the program. It would phase out the Affordable Care Act’s Medicaid expansion, with enhanced federal funding, and it would cap Medicaid spending per-enrollee, starting in 2020. No new enrollment under this ACA expansion can occur after Dec. 31, 2019, in states that currently have adopted the expansion. But if expansion-based enrollees have a gap in coverage of more than one month, they wouldn’t be able to re-enroll, unless a state wanted to cover the additional cost itself. The Republican bill would also affect some who would have gained Medicaid coverage in the future under current law, as more states expanded coverage. Under the bill, new states can’t opt in to the expansion after March 1, 2017. So, some who have gained expansion coverage, and others who would have gained it in the future, wouldn’t have Medicaid under this legislation. The GOP bill’s cap on per-enrollee federal spending would also lead to “less federal reimbursement” under the program, CBO says. States would have to make some changes because of this, which could include restricting eligibility or eliminating some services, as we explained above. Ryan says there has been a “micro-management” of the program by the federal government. The GOP bill gives states some more flexibility. They can elect to receive block grants, rather than per-enrollee funding, and they can institute work requirements for some Medicaid recipients. But again, the bill reduces federal funding, which leads to millions who otherwise would have Medicaid coverage not getting it. Said he didn’t think anyone would be hurt by the GOP bill’s reduction in Medicaid spending of more than $800 billion over a decade. Ryan also claimed that “more and more doctors are refusing to even accept people with Medicaid,” but we found no evidence of that. We looked at this issue in-depth in late March. The Medicaid physician participation rate, which is the percentage of doctors who say they accept new Medicaid patients, was 68.9 percent in 2013, according to the most recent figures from the Centers for Disease Control and Prevention’s National Center for Health Statistics. That’s lower than the participation rates of Medicare (83.7 percent) and private insurance (84.7 percent). The Medicaid participation figures vary by state and are largely tied to reimbursement rates. There is no continuous year-to-year measure on Medicaid doctor participation rates, but federal statistics gathered over recent years show the figure has remained around 70 percent. Also, earlier this year, Ryan’s office had referred us to figures from Merritt Hawkins, a consulting firm on physician staffing, but more recent results from those studies show no drop in participation rates. The firm called about 1,400 physician offices in five specialties in 15 markets, asking to make a new patient appointment and if the doctor accepted Medicaid. The results: 53 percent said they accepted new Medicaid patients in 2017, 45.7 percent in 2014, 55.4 percent in 2009 and 49.9 percent in 2004. A broader study by Merritt Hawkins and the Physicians Foundation surveyed 17,236 physicians and found 63.7 percent accepted all Medicaid patients and another 20.3 percent accepted limited numbers of Medicaid patients in 2016. The survey results for 2014 were similar. In his “This Week” interview, Ryan mischaracterized the CBO’s estimate that the AHCA would result in 24 million fewer people being insured, claiming it was due to people “through their own free choice” deciding “if they’re not mandated to buy something that’s unaffordable, they’re not going to do it.” While the CBO’s figure does include some who fit that description, there are many others who do not. Ryan: Yes, so the first point, the 24 million statistic — what the CBO is basically saying, and I agree with this, if the government’s not going to force somebody to buy something they don’t want to buy, then they’re not going to buy it. So they’re basically saying people, through their own free choice, if they’re not mandated to buy something that’s unaffordable, they’re not going to do it. Ryan’s statement is the flip side of misleading claims by some Democrats who cited the CBO report as evidence that 24 million would have insurance ripped away from them. As we have reported, the 24 million figure includes some who will simply decide — once the individual mandate is lifted — to not have insurance. But Ryan’s claim swings too far in the other direction. In addition to those who will voluntarily forgo insurance if the mandate penalty is eliminated, the CBO analysis also includes millions of Americans who would not have health insurance because they were no longer eligible for the Medicaid expansion, they could no longer afford to buy insurance on the individual market, or their employer would no longer offer insurance to them. So at least some would be priced out of the insurance market due to higher premiums. CBO estimates premiums in the individual, or nongroup, market would go up in 2018 and 2019, due to healthy people leaving that market since they are not required to have insurance. In subsequent years, average premiums would be 10 percent lower than under current law, CBO said, but older and low-income Americans on the nongroup market could see substantially higher costs under the GOP plan, as insurers would be allowed to charge older people more and new, age-based tax credits wouldn’t be large enough to offset those premium increases. By 2026, CBO estimates that 2 million fewer would have nongroup insurance under the Republican bill. As we’ve explained, CBO also estimated a significant reduction in Medicaid enrollment. By 2026, there would be 14 million fewer people on Medicaid compared with current law. “[S]ome states would discontinue their expansion of eligibility, some states that would have expanded eligibility in the future would choose not to do so, and per-enrollee spending in the program would be capped,” CBO said. It would be a stretch to describe those who no longer qualified for Medicaid as deciding to not have insurance “through their own free choice,” as Ryan put it. And CBO estimates 7 million fewer people would have employer-sponsored insurance by 2026, some due to their own decision not to have it and some due to employers no longer offering insurance. Claimed the CBO analysis of the GOP health plan is “basically saying” that 24 million fewer Americans “through their own free choice” will decide not to buy insurance.